BuJo - Track your life! Our newest app is BuJo, a neat little bullet journalling app. Track your life! Shows a summary view. Each day is coloured depending on what records there are on it, to a maximum of 5 flashes per day. Selecting a day shows the records for it, in this case for the 26th April 2018. In this view you can see detail for a particular track and 'paint' days on the calendar to record things. In this case, I've selected the track 'Coffee' so I can see and edit the number of cups of coffee I've drunk each day in April. Well, since April 17th anyway. The calendar scrolls as normal so you can explore and edit other months. By painting days into the future, you can use BuJo as a planner too. That doesn't make much sense for 'Coffee', but it would for e.g. 'Bike Ride'. 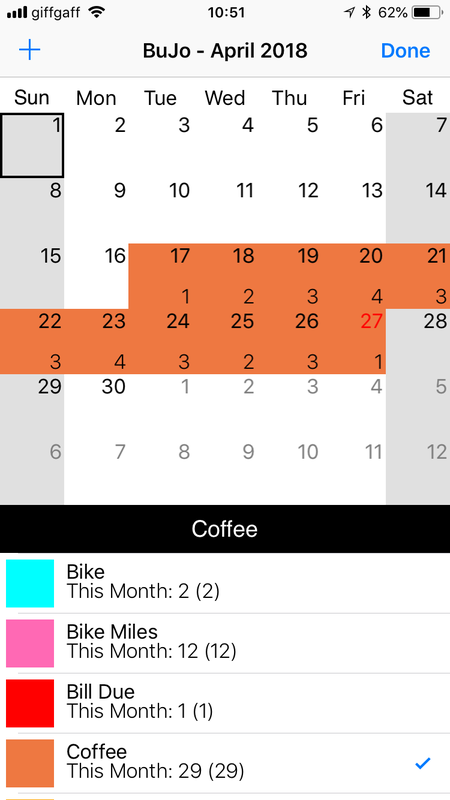 Rotating your device from the main calendar generates this bullet journal view showing all track data for the current month. 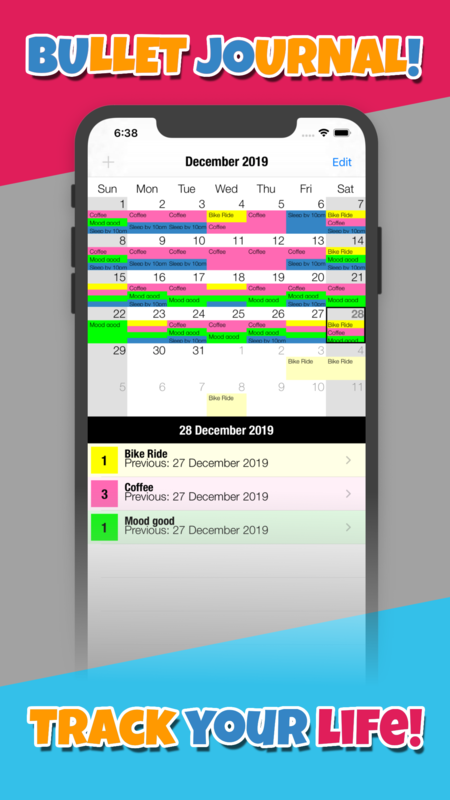 This view can become really pretty and colourful depending on how many tracks you have on each day, and the combination of colours you choose for them! 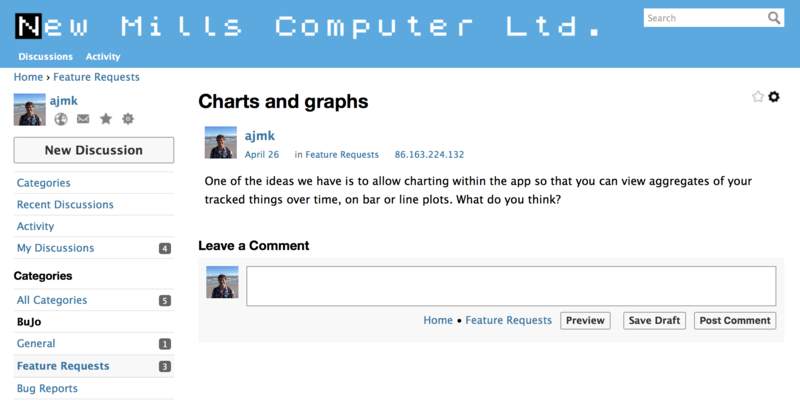 In the forums, suggest and discuss new features and enhancements to the app, which is currently quite simple. We have our ideas of where we want to go with it but we'd love to know what you think! There will be a reward of some description for suggesting features that make it into the app. Or we can discuss what sort of things in your life you track with BuJo. Feel free to pop in and get involved.